It's time to take a good look at who Jews today really are and what we want. If we are truly going to embrace the new face of American Jewry and stay relevant, three kinds of walls must come down: The Walls of Hierarchy, Denominations and Institutions. Emergent Jewish communities - those that exist outside of established institutions - embrace this philosophy and are filling the multi-varied needs and interests of Jews in new and dynamic ways. 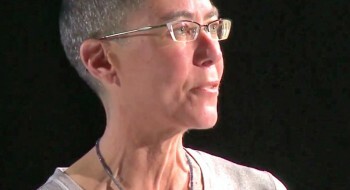 Beth Finger is the Founder of Jewish Without Walls (JWOW). This grassroots, independent start-up creates vibrant Jewish communities across denominations and affiliations. She believes in a celebratory, joyful Judaism where everyone feels welcome. 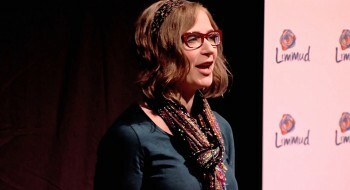 Beth has worked at Jewish Community Centers, Hillels and most recently at the Jewish Education Project. She volunteers with UJA-Federation of NY and the Schechter School of Long Island, NY. Beth lives in Suffolk County with her husband, three children and lots of pets. I eat pork and shrimp. On Friday nights, I light Shabbat candles, say the Kiddush and motzi with my family, but Saturday is like any other day. Last spring I won an award from UJA Federation of New York for my volunteer work in the Jewish community. I attend synagogue three days a year unless there’s a special occasion. However, I maintain my synagogue membership at $2700 a year because I think it’s important for my community to have a synagogue. I send my kids to the Schechter School of Long Island. I don’t believe in God. I read Hebrew but I don’t understand it. I care about Israel. I’ve dedicated my life to the Jewish community. I am not alone in having a complex relationship with Judaism and how I’ve chosen to live a meaningful Jewish life. Unfortunately, we know all too well that the majority of Jews, who don’t fit into traditional moulds are opting out of the Jewish community. Inter-married, atheists, LGBT, those who can’t afford the high cost of synagogue membership, Israeli Americans, empty nesters, these are just some of the groups that don’t feel that they belong in the established Jewish community. That’s why we’ve seen the exponential rise in emergent Jewish communities, those that exist outside of and independent of established institutions. And this exciting, new movement is offering options to fill the enormous and multi-varied needs and interests of the Jewish people like me, and maybe you, and definitely people whom you know. You know, in every other aspect of our lives we have lots of options, just think of Starbucks, but somehow when it becomes to being part of the Jewish community it’s either, join a synagogue or you’re out of luck. In fact, at any given time only 35% of American Jews belong to a synagogue. And according to the recently released New York Jewish Community Study of 2011, the fastest-rising segment of the community were those who chose non-denominational or non-religious and that number jumped from 15% to 37% of New York Jews in only the last 10 years. More and more, Jews are choosing to opt out, but mind you these same people they still want Jewish friends for themselves and definitely for their children, they enjoy celebrating Jewish holidays and traditions, food and culture and they crave community. They just haven’t found a way to connect to the Jewish community that’s meaningful for them. We need more and different pathways into the Jewish community. And that’s why, 16 months ago, I founded Jewish Without Walls, or JWOW for short. We are a completely independent, grassroots initiative to build vibrant Jewish communities across denominations and affiliations and we focus on Jewish culture and friendship. On no budget, and run completely by volunteers, we have been able to engage hundreds of Jews in Central Suffolk County Long Island where I live, in Jewish community, conversation and holiday celebrations. And living without walls for this period of time has been liberating. So I challenge you today – and here’s where a good Ronald Reagan imitation would come in handy – to tear down these walls. Today I’ll be talking about three walls that must come down if we are going to embrace the new face of American Jewry and stay relevant. It’s time to take a good look at who Jews today really are and what we want. First, the wall of hierarchy. I once had a disagreement with the board of my synagogue and went to a board meeting. After some time everyone was asked to leave except for the executive board so that they could engage in some secretive talks in which I was not allowed to be a part and I left that meeting feeling like a child who had done something wrong and I was waiting for my parents to decide on my punishment. Emergent Jewish communities typically blur hierarchical lines. People today are smart, multitasking highly educated and empowered, and they should feel in control of their Jewish lives as well. Regular people can be inspired to turn from consumers into prosumers; producers of their experiences and the grassroots model trusts the people and shares authority with the participants, in fact they’re the ones who are creating the activities based on what they’re passionate about and what’s meaningful to them. We just provide the platform on which to do it and the support along the way. Emergent Jewish communities also value transparency and this may feel threatening for some organisations but it is crucial in today’s society. Here’s an example; the Chabad at Brandeis University recently published their whole budget online for students and donors to see where they spend their money, and the result was an increase in donations. When people saw where the money was spent, including the salary of the rabbi, they were inspired to give more. We need to start opening our hearts, our meetings, our books, our dreams, our visions and our thoughts with the world. Don’t be afraid, you might be surprised what happens when you include people in the process and the decision-making. The second wall I’d like to talk about is the denominational wall. Now, in my own family I have a Yeshviah Orthodox sister, a brother who attends a Conservative synagogue, pretty regularly, a Modern Orthodox sister, a rebellious brother who refused to eat kosher food, and me. And I went to an Orthodox Yeshiva and summer camp growing up while living in a non-observant home. My Bat Mitzvah was at a Reform Temple, and as a teenager I was part of both Conservative and Orthodox teen youth groups. And this is confusing, I know, but living in this microcosm of the Jewish community has given me an insider appreciation of the rich diversity that Judaism has to offer. I think of the words of the former Chief Rabbi of Israel, Rav Kook who said, “There’s more that unites us than divides us.” It’s time now for a kinder, gentler Jewish community. Now, the denominational wall never will and never should completely disappear, as we need options, diverse options for affiliation. And understandably there are red lines that can never be crossed. However I will suggest that at this point in time, for the vast majority of Jews, denominations are imaginary and that this wall is crumbling anyway. So, why are denominations imaginary? Only a tiny percentage of Jews can tell you the theological differences between Reform and Conservative Judaism. Reconstructionist? Forget it. And by and large those Jews who affiliate with a synagogue, the third who do, they go basically where it’s convenient, where their friends go or where they grew up. They may claim to be a particular denomination without knowing what it really means to practice it. At this point denominational labels for most Jews are meaningless. What denomination am I? What about my friend, Suzie, who sits on the board of her Conservative synagogue, is a leader in JWOW, just returned home from the Chabad women’s retreat and is otherwise non-observant at home except that she only eats kosher meat in her house. What is she? There are too many people like this out there who don’t fit any prescribed set of rules. We are creating our own Jewish identities that are personally meaningful and where rigid denominational walls don’t resonate. We don’t want to feel like bad Jews because we don’t adhere to the regimen of the rabbis. We want to live with integrity, where we say what we mean and we don’t pretend to be something that we’re not. Shame and guilt should be replaced with joy and celebration, respect for differences and where people are living Jewish lives that a personally relevant – for him or her – in community with others. And the final wall that I’d like to challenge tonight is the wall of institutions. And I realise that this is a sensitive topic in this age of mergers and closures. However, I believe that when we start focusing our energy on the people, and worry less about the survival of institutions, that we will ultimately thrive. We have to trust the process. Now I had a job in which I brought together the Teen Directors from the different youth groups in a community of practise. And the Conservative Director was a staunch advocate for his movement and it was paramount to him that his teens would not be exposed to any other youth group. But after years of meeting together, he announced, that if one of his teens came to him unhappy at USY that he would recommend that, that teen try out one of the other ones; BBYO or NTSY or NIFTY as opposed to leaving their involvement with the Jewish community altogether. And this was a moment of triumph for us, that he had come so far, that he could put the needs of the teen above that of his organisation. The first rule of social work is to meet the client where they’re at. If we’re going to forge meaningful relationships between people and Judaism, and compelling Jewish communities, we have to take the time to get to know them, and then together take them on their Jewish journey and make it as easy and as accessible as possible for them. Let us remove the stumbling blocks. Now, meeting them where they’re at might mean, literally going outside the walls of your institution into public places. The most successful event that JWOW had was a Hanukkah event inside of our local shopping centre. Hundreds of people came out that day to celebrate and they found a Jewish community that day and they’ve come back for more since. Another more controversial example of meeting people where they’re at is in Boca Raton, Florida; where the JCC started offering High Holiday services. For, some of their members did not belong to a synagogue and wanted religious services and this was very controversial, people said, “no, let them join a synagogue.“ I say, as much as I support my local synagogue, why make it hard to be Jewish? Let’s make it as easy as possible for people to have Jewish experiences, let’s meet them where they’re at. Let us work in service of the Jewish people above and beyond service to our particular organisation. My venture, Jewish Without Walls, is a new approach for new times. The wall of hierarchy has been replaced with a flat structure that empowers people to create the community that they want and need. Denominational walls have disappeared, as people from all denominations come to our programmes and we’re able to celebrate, learn and do Jewish together as one community. And JWOW has no building so we literally have no institutional walls. All of our programmes are held out in public places where people feel comfortable, but this has freed us up to focus completely on relationship building. We are living in an incredibly exciting time for the Jewish people; emergent communities are offering us new ways to express our Judaism and in ways that are hyper-relevant. More options create a more vibrant Jewish community. 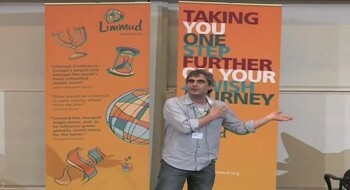 But just to be clear, the established community is crucial towards this end, we want more options, and I have a foot in both worlds so I can really appreciate what both have to offer and in fact, JWOW has partnered with a number of established organisations which has enhanced both of our communities and benefited the entire Jewish community. It’s time to be more pragmatic and less dogmatic. People have opted out of the Jewish community, but they will come back if given the right entry point. So, I challenge you here today to open up this conversation with your friends, your colleagues, your lay leaders and say, what walls are we willing to tear down? What are we going to do to create a more inclusive and welcoming community? And I realise that some of these ideas might be provocative, but I believe we must be experimenting in this way. Over the past generation we have watched walls crumble before our very eyes. Whether physical walls like the Berlin Wall; communication walls, where now the world web is connecting us in ways we never could have imagined, or gender walls where, now, women are taking a more prominent leadership role in the world. It’s time for us to ask, as the Jewish community, whether some of the walls that we’ve created, if we dismantle some of them, if that might open the way for more Jews to be able to engage with the richness of Jewish history, values and tradition, for the good of the Jewish people now and in the future.